View information about our albums below and check us out on CD Baby and Amazon! 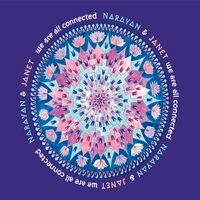 We Are All Connected – Narayan & Janet’s newest album! 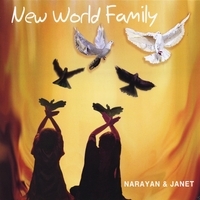 This new collection of original songs by San Francisco area-based musicians Narayan & Janet is filled with positive vibes and perfect for conscious evolutionaries! 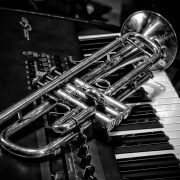 Experience soul-jazz and fun songs full of surprises. Music for Peace, Goodwill and Celebration! The music of Narayan & Janet is lifting and transforming energy in concert venues and private gatherings throughout the region. Ever-growing numbers of people want music to reflect their positive outlook and enhance a sense of community – the songs Narayan & Janet write accomplish this in a fun-filled way.Vocals, keyboards, trumpet and a full band sound this music will help you fully inhabit your body, transform energy, cultivate happiness and expand your heart-space. Before she worked with Narayan, Janet put out a CD called ” I Really Should Take My Own Advice!” produced by Paul Speer and Neal Speer and Gary Lanz. ; Bluesy music with lots of Hammond B-3 organ… her speciality. We’re also CD Baby & Amazon!